Descriptions of Cambridge courses are listed below to assist with developing a plan for course selection. 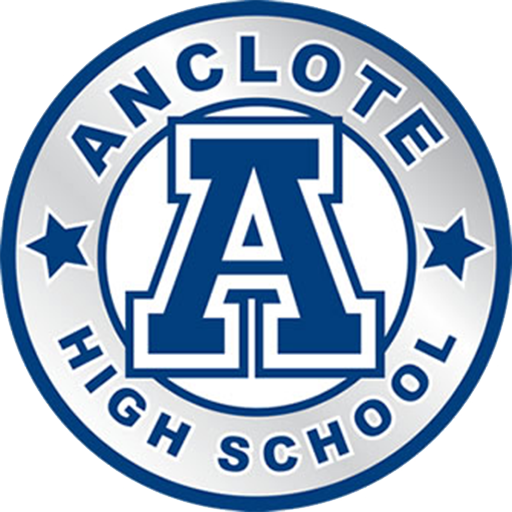 A sample course card includes other courses offered at Anclote High School. Cambridge IGCSE First Language English is designed for learners whose first language is English. Students will develop the ability to communicate clearly, accurately and effectively in both speech and writing. They learn how to employ a wide-ranging vocabulary, use correct grammar, spelling and punctuation, and develop a personal style and an awareness of the audience being addressed. Learners are also encouraged to read widely, both for their own enjoyment and to further their awareness of the ways in which English can be used. Cambridge IGCSE First Language English also develops more general analysis and communication skills such as synthesis, inference, and the ability to order facts and present opinions effectively. The Cambridge IGCSE English Literature course enables learners to read, interpret and evaluate texts through the study of literature in English. Learners develop an understanding of literal meaning, relevant contexts and of the deeper themes or attitudes that may be expressed. Through their studies, they learn to recognize and appreciate the ways in which writers use English to achieve a range of effects, and will be able to present an informed, personal response to the material they have studied The course also encourages the exploration of wider and universal issues, promoting learners’ better understanding of themselves and of the world around them. The AICE English Language course gives learners the opportunity to study English language and its use in contemporary communication. It aims to encourage a critical response to texts in a range of forms, styles and contexts, and to promote skills of communication, reading, research and analysis. Through their study, learners will develop an ability to read and analyze material, gaining further knowledge and understanding of English language features and issues, and writing clearly, accurately, creatively and effectively for different purposes and audiences. The AICE General Paper course encourages learners to develop a maturity of critical thought and argument and a mastery of expression in the English language. These are all skills of great use for university level study. The course draws on topics from across the school curriculum, and learners are able to draw upon knowledge and understanding gained from study of other subjects. With an emphasis on human biology, the Cambridge IGCSE Biology course helps learners to understand the technological world in which they live, and take an informed interest in science and scientific developments. Learners gain an understanding of the basic principles of biology through a mix of theoretical and practical studies. They also develop an understanding of the scientific skills essential for further study at Cambridge International AS Level, which are useful in everyday life. As they progress, learners understand how science is studied and practiced, and become aware that the results of scientific research can have both good and bad effects on individuals, communities and the environment. The AICE Biology class is designed to help students develop abilities and skills that are relevant to the study and practice of biological science. The course helps students develop a knowledge and understanding of scientific facts, laws, definitions, concepts, and theories related to biology as well as scientific vocabulary, instruments and apparatus used in biology. Students will be able to take information and solve problems related to biology using oral, written, symbolic, graphical, and numerical formats. The class will also place a specific emphasis on lab skills and investigations. The Cambridge IGCSE Chemistry course enables learners to understand the technological world in which they live, and take an informed interest in science and scientific developments. Learners gain an understanding of the basic principles of Chemistry through a mix of theoretical and practical studies. They also develop an understanding of the scientific skills essential for further study at Cambridge International AS Level, skills which are useful in everyday life. As they progress, learners understand how science is studied and practiced, and become aware that the results of scientific research can have both good and bad effects on individuals, communities and the environment. The AICE Chemistry course is designed to stimulate an interest in chemistry and understand its relevance to society. The course will give students a thorough introduction to the study of chemistry and its scientific methods. Students will develop an understanding of scientific facts, laws, definitions, concepts, and theories related to chemistry as well as scientific vocabulary, instruments and apparatus used in chemistry. Students will be able to take information gained in the class and solve problems related to chemistry using oral, written, symbolic, graphical, and numerical formats. The course will also place a specific emphasis on lab skills and investigations. The Cambridge IGSCE Math 2 course aims to enable students to: develop their mathematical knowledge and skills in a way which encourages confidence and provides satisfaction and enjoyment Learners will develop an understanding of mathematical principles and an appreciation of mathematics as a logical and coherent subject and acquire a range of mathematical skills, particularly those which will enable them to use applications of mathematics in the context of everyday situations and of other subjects they may be studying . Cambridge IGCSE Additional Mathematics is a rigorous college preparatory course intended to prepare students for the AICE Math curriculum. Students will devise mathematical arguments and present them precisely and logically, develop creativity and perseverance in the approach to problem solving, derive enjoyment and satisfaction from engaging in mathematical pursuits, and gain an appreciation of the beauty, power and usefulness of mathematics. The AICE Mathematics course is designed to help give students a deeper understanding of mathematical principles. Students in this class will also further develop their mathematical skills in order to apply mathematics in the context of everyday situations and in other subjects they may be studying as well as use mathematics as a means of communication. The class requires students to analyze math problems logically and to recognize when and how a situation could be represented mathematically. The AICE U.S. History class focuses on both a student’s historical knowledge and on the skills required for historical research. Students learn about cause and effect, continuity and change, similarity and difference, and use of historical evidence as part of their studies. Students will study the American past to develop an understanding of complex historical events and their significance to modern society. By the end of this course, students will be able to assess different interpretations of an argument, formulate their own ideas about a subject, present clear, logical arguments, and evaluate historical evidence. The AICE Thinking Skills course develops a specific set of intellectual skills, independent of subject content, reflecting the need voiced by universities and employers for more mature and sophisticated ways of thinking. The Thinking Skills course also enables students to approach their other subjects with an improved ability to understand, analyze and resolve problems. As a result, students will find the course of great benefit when preparing for higher education and for a wide range of careers, including law, scientific research, social science, journalism, medicine, business, accounting and engineering. The AICE Global Perspectives course prepares students for positive engagement with our rapidly changing world. Students broaden their outlook through the critical analysis of, and reflection on, issues of global significance. The AICE Global Perspectives syllabus is based on skills rather than specific content. Students will develop research, thinking, reasoning, and communication skills by following an approach to analyzing and evaluating arguments and perspectives called the Critical Path. The skills gained through this course will enable students to meet the demands of twenty-first century learning and make a successful transition to study in higher education. The AICE Classical Studies course provides learners with an understanding of the civilizations of ancient Greece and Rome and an appreciation of the diversity of the Classical world. The course exposes learners to a range of original sources (textual, material archaeological) and develops their abilities to interpret, analyze, and evaluate a range of evidence. The syllabus is flexible and wide-ranging, allowing teachers to build a course that reflects their learners’ interests. The AICE Media Studies course offers learners the chance to develop an understanding and appreciation of the place of media in our everyday lives. The course enables learners to take a hands-on approach to the subject. Through the coursework components they create their own media products from planning through to execution. Learners also consider and analyze examples from existing media, examining production processes and technologies and the effects they achieve. The AICE Travel and Tourism course encourages students to appreciate the scale and importance of the travel and tourism industry in the world. Students will also learn about the positive and negative impacts the industry may have on people, environments, and economies. Learners will discover that the travel and tourism industry is dynamic in nature and will also learn how the industry responds to change. This course encourages students to develop practical and technical skills relevant to the industry, enabling them to deal with a range of complex situations and problems. The AICE Environmental Management course encourages students to appreciate environmental issues and their management, especially the human aspect. Through their studies, learners gain an understanding of environmental resources and their human exploitation, and the goal of sustainable environmental management.. Learners also consider a range of case study material which can feature local, regional or global examples.